January 17, 2019 Blackbaud, Inc. This episode’s guest is Meredith Ferguson, the Managing Director of DoSomething Strategic. 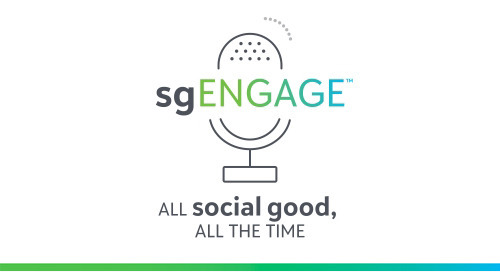 Listen to today’s conversation to hear more about DoSomething.org and DoSomething Strategic and how they are helping engage millions of young people in social change. Learn about how Generation Z is different from previous generations when it comes to social good, how social good organizations and companies can engage with this younger generation, and what makes young people gravitate toward causes. Article: What Drives Gen Z: Is It the Experience or the Cause?